Yepp. Småstadsprat-video klar. Grymt cool. Kommer strax. /P. Translation: Voila. Småstadsprat-video clip signed, sealed and delivered. Very nice indeed. Out before you know it. /P. We all hoped to see Per himself in the video, but we were also kind of sure there would be more tussilagos in it than PG. The video was published on 21st April. It’s a cartoon created by Emil Gustafsson Ryderup. Even if it doesn’t contain any PG images, it turned out to be beautiful. Beautiful but so sad at the same time. It fits the lyrics and the melody perfectly. He is one of the Swedish music geniuses, one of the absolute greatest and that’s when anxiety kicked in that I missed it. 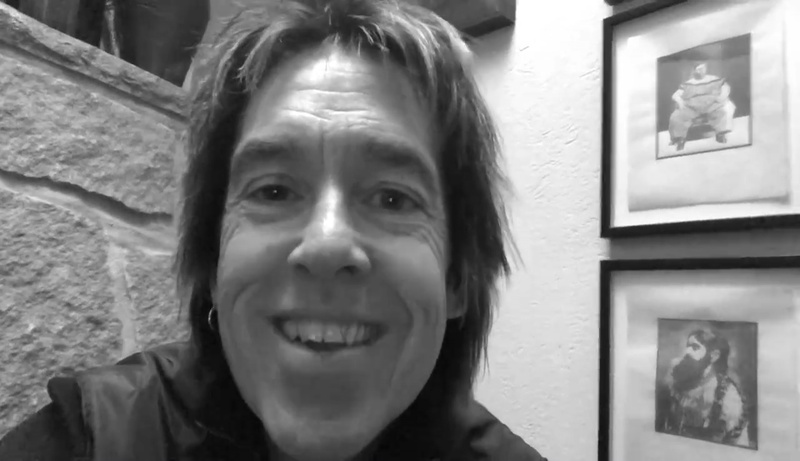 Gessle has definitely been in the frontline of our country’s music history. He has always been around in a certain way and I have to admit that sometimes in the dark times of my life I have listened to “It Must Have Been Love”. Thanks to Emil’s employers, he could get 3 weeks off for making the video. It was an intensive period for him, to interpret the lyrics into his drawings. He says it’s a story of love that doesn’t disappear, about those who leave a small town and those who do not. He had a style in mind inspired by the ‘50s and ‘60s and UPA animation studio. A bit of “Mr. Magoo” style, but still with Emil’s character in it. At the beginning, Emil sent some still images and a synopsis to the record company and he got green light to go on with it. Emil says it was more like he gathered the ingredients for a cake and hoped it would turn out right in the end. For example, he made the backgrounds last. All involved were satisfied with the result and the video is now out in public. 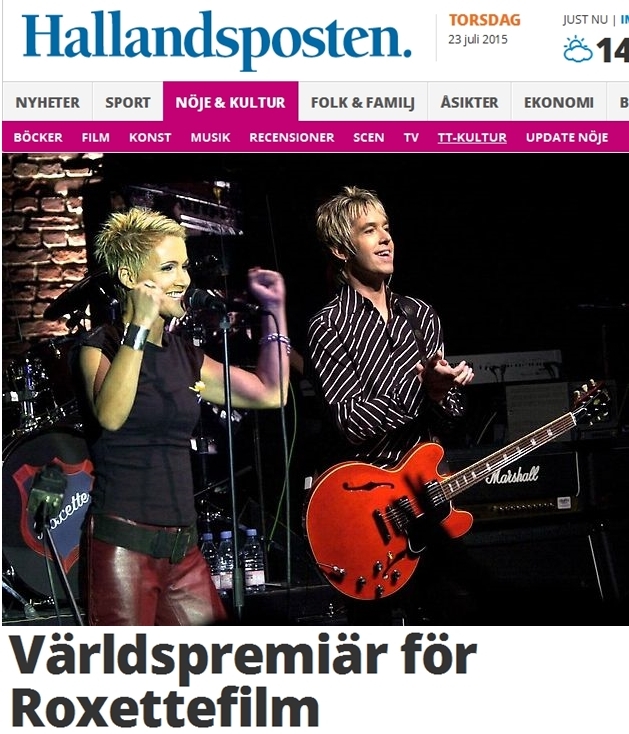 Emil tells Göteborgs-Posten that he is quite pleased and that Per Gessle said yes to Emil Gustafsson Ryderup is fun and feels great. He is very happy that he managed to do this in the end. Congrats and well done, Emil! The video can be watched on Per’s YouTube channel, HERE. Addeboy vs Cliff have just finished a fab uptempo version of ”Why Don’t You Bring Me Flowers?”. A song of mine done in Addeboy vs Cliff-style. It will hopefully be released later this year. So the time has come. Better said, the time will come on 4th November, as the release date is set to that Friday according to Ginza. But it’s not just a simple single release (on CD and in digital form). Marie and Per ask you to be creative and they give you a chance to appear in the official video to the song. All you have to do is record a 10-20 seconds video of yourself, friends or a situation to where you associate to the song and upload here. You don’t have much time to do that though. The deadline is next Friday, 21st October. For more details you should check out the terms and conditions. Make sure you use #WhyDontYouBringMeFlowers when you upload your video to any social media site. The winner submissions will be part of the official video. It’s a nice idea. And hey, it means there will be an official video, not just a lyrics video. Does it also mean that besides the parts with the winner clips there will be Marie and Per in the video as well? Good question… Not much time left until we see what happens. Fingers crossed for some really creative clips and a fab end result! Good luck to all participating Roxers! 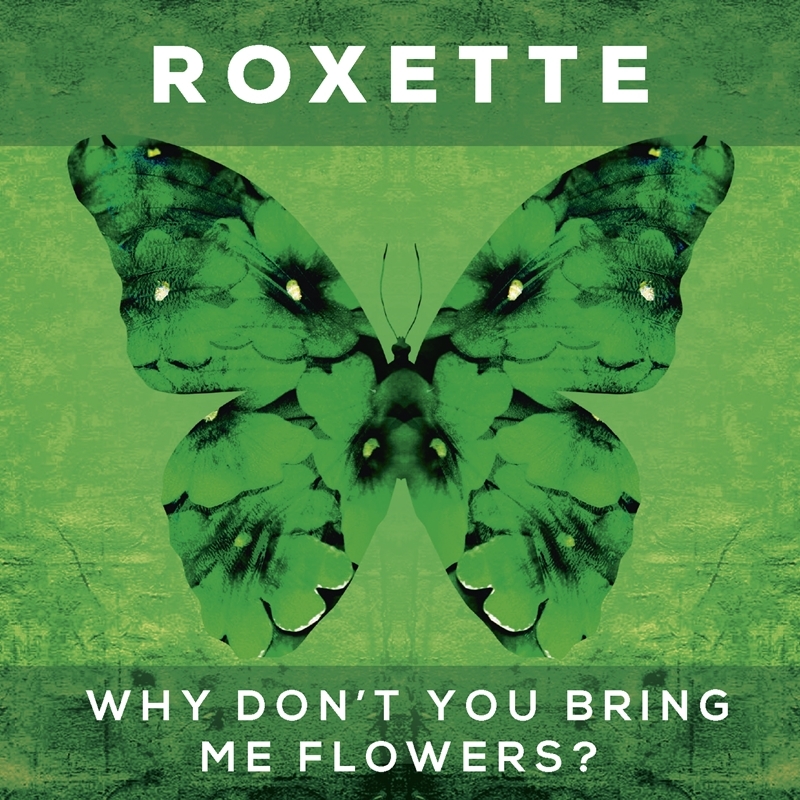 Categories Releases, RoxetteTags contest, Fans, Good Karma, Roxers, Roxette, single, video, Why Don't You Bring Me Flowers? What happened to the “It just happens” video? It’s been 36 days since the release of the first single off “Good Karma” – “It just happens”. We got an official lyrics video which has around 260.000 views by now (the video which went live for Germany has 30.000 views so far). This lyrics video has been published and posted on Facebook shortly after the song was out. But we know for sure that there was a video shooting for a “proper” video – proper meaning it includes Per and Marie. What we know so far is that a video has been shot between March 21st and March 28th – Per confirmed this in an interview on P4 Halland a week before the shooting. We also assume that back then the promo shots for the album must have taken place. We know that on April 1st (certainly it wasn’t meant as April fools) they were still busy “preparing the new video”. 1.) I Does it make sense to release a video for a single that basically flopped more than five weeks later (in case it was out TODAY which probably won’t happen) or even more? 2.) Why didn’t they release it only some days after the single – many artists do these, but I haven’t heard about one who waits more than a MONTH with it, especially not when the single isn’t a mega seller. 3.) What happened? Technical issues, human failure, Marie’s news made it impossible to release it or simply a promo strategy gone wrong? 1.) Use the footage for the second single. Just cut what you filmed into something new and ignore the different lyrics. 2.) Release the video together with the album on June 3rd. 3.) Release the single again with the proper video and put some money into promoting the song and getting it to the radio stations. Any other suggestions how to release the video after months of the single release without looking a bit bad? Roxette Diaries – a review! Today was the day – time to watch the Roxette diaries. Yes, the film is out for a while now, but I didn’t bother to watch it any earlier since I had ordered the wrong version without English subtitles and I really didn’t want to watch it without them. Waking up today I decided to give it a try. My Swedish is not the best, but I learned enough from Per, Marie and Kent that I can at least read it very good. So I switched on the Swedish subtitles and the fun began. It took me two and a half minutes to get into tour mood again. There are two simple reasons for me: There’s a very special energy between Per and Marie in the beginning and it lasts until 1993, I think. It feels very special to watch both of them interact. You can feel in every scene how much fun they had in the 80’s and in the early 90’s. They just did what they know best: music. And they had fun together, all of them. And this is maybe what most fans search or long for the most: They want to be sure that their favourite band is nothing but a big family, having fun together, on and off stage, create great music and conquer the world. Yes – this movie transports this feeling very well. At least the first hour. The whole band is just easygoing, lighthearted, happy, untroubled. My heart leapt watching this! And I remembered how much I love them – and we have a silver wedding this year. It’s been 25 years of unconditional love of my part this year. Can this be called the love of my life then? The second reason why I suddenly can’t wait for June to roll on: I suddenly remembered that they still have an awful lot to give. They are not finished yet. Seven years have been stolen off them. Seven years of nothingness and yet seven years time to heal a strained friendship. I need to see more of this healed relationship between them. It has never been nicer to watch them on stage together. And what I implied here I honestly mean: While in the beginning Marie and Per seem to be a unit, they certainly are no longer from 1993 on. Of course, this can be due to the cutting of the film, but did anyone else notice that Marie is almost not to be seen in the last 30 minutes of the film? There’s one scene at the end where someone asks (is it Per? ): “Where is Marie?” right before a performance. Yes, folks, I wondered the same. Where was she? And someone else in the film replies: “Ingen aning.” No idea. I had no clue either. What we all knew to be true suddenly becomes real – yes, their friendship turned from friendship to business somewhen between 1992 and 1993. There’s no way to deny it. There’s no more fun around. And this is the shocking part of the diaries: Interviews, travelling, TV shows, promotion, concerts – there’s a 90 minute development of wearout to witness. It almost broke my heart to watch this. Smiles got less, fun got less, friendship almost not detectable. But thinking about the recent years they gave to us, I can only say: We are the luckiest fans in the world. I don’t know how they did it, maybe it’s just the happiness, the gratefulness to have survived this bad illness Marie had, but they certainly overcame their problems and enjoy their time together again. And it’s something different now, when Marie isn’t doing interviews or doing all the other promo crap stuff that comes with being a pop star. We all do understand it and maybe we even understand it more when we know now what it did to them in the early 90’s. Yet, this is a brilliant movie and my only criticism would be that there were too many concert parts at the end. I would have loved to see more of the Tourism and Crash!Boom!Bang! recordings. Maybe we get to see the rest of it soon. Per’s “soon” would suffice here, though. And I would also love to see the 2009-2016 footage. You know why – just to get me in the tour mood again and again and make me fall in love with them again and again. Nothing and nobody compares to Marie and Per. As you could read in our article this morning, Per starts a radio podcast on 24th March. A great chance to practice your Swedish by listening to 2 nerds chatting about music. 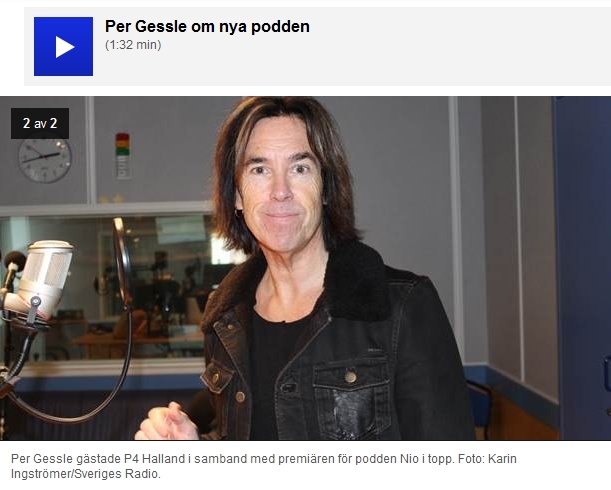 Today Per visited Swedish Radio P4 Halland and talked about the podcast. In the short interview he also mentioned that he is busy with other things as well. Besides that he started his own record label Space Station 12, there are also a lot of things happening around Roxette. The new album is out in summer, the single is out in April and he confirmed there will be a video to the single which they are shooting next week. Too cool! Another interesting thing Mr. G mentioned is that they are playing 18 shows in Europe this summer. We know about 14 dates so far, so there are at least 4 more to come. Sounds promising! Roxette Diaries premiere in August! As we already wrote about it earlier, a Roxette movie is coming. 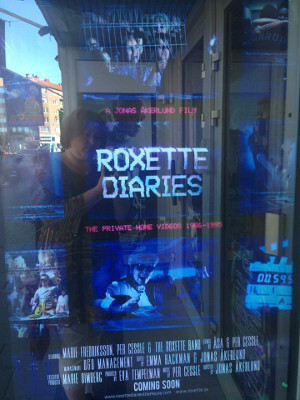 According to Hallandsposten (1; 2), the Roxette Diaries behind-the-scenes documentary directed by Jonas Åkerlund will premiere in August at the Way Out West Festival. The festival is between 13th and 15th August 2015 in Gothenburg, Sweden. As you know, Jonas got exclusive access to a huge amount of private videos filmed backstage during Roxette’s world tours, in studios, during PR tours and at other places. 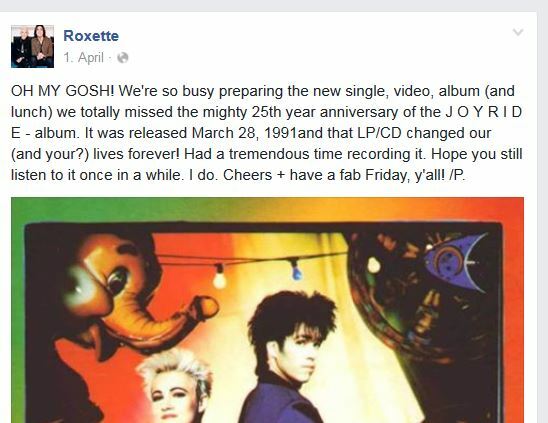 He received the videos in April 2014 and now he created a story about Roxette. The first updates were about tapes from 1988-2001, but later Per said what you’ll see in the movie is from 1986-1995. Now Hallandsposten mentions 1988-2001 again, but he used our article as reference, so it’s probably 1986-1995 in the end. Let’s see what happens. Watch the fantastic trailer on Mr. Åkerlund‘s website HERE! Hopefully, the movie will be available soon to a wider audience, too. Roxette Diaries – a movie coming soon! MONDAY UPDATE w/ EXCITING NEWS: Going through loads of old Hi-8 and DV videotapes (mainly shot by Åsa) from 1988-2001 with Jonas Åkerlund and his gang. Backstage, in the studio, video shootings, photo shoots – you name it. Have an idea to make a proper film out of it. What do you think? Cool or what? /P. It seems the project is now very close to take form of a movie. Cool or what? A trailer has been shared by the movie’s editor, Emma Backman. (Update: the trailer has been set (back?) to private. Probably, it was too early to publish it.) The film is directed by the most awesome Jonas Åkerlund and this fact itself guarantees a most amazing result. But that you’ll see already from the trailer. The film will include tons of forgotten home videos and real behind the scenes of video clip shootings, photo and studio sessions, interviews, concerts, etc. More than you could ever think about! As Per says, all videos are from the years 1986-1995, so the quality of them is not compatible with the 21st century. But who cares, really? It’s so fantastic to have that many funny and magical moments documented in the past and now we will have access to them. Speechless is the word! Everything (and more) happened to Roxette between 1986 and 1995. This was the era where a videocamera wasn’t something you saw every day. The technical quality you would get was so-so but today I’m really happy we covered hundreds of hours of film from these magic years. The ambition was to shoot everything. Studio-sessions, back-stage-parties, rehearsals. My wife, Åsa, was the commander-in-chief when it came to capture promo- and TV-shows as well as the extensive touring all over the world. All in all I gave about 180 Hi-8/VHS-tapes to director Jonas Åkerlund and asked him if he and his team could do something special with it. Maybe create a movie that captured the spirit of Roxette in the early days as well as being honest, silly and fun to watch. Hey, I think they succeeded. Enjoy the Roxette Diaries. Huge thanks to Åsa for filming so much over the years and that she still hasn’t got tired of it, using the camera for shooting more and more magic! We highly appreciate it! As you can see, Jonas got appr. 180 tapes, a huge amount of material to go through. I’m sure there would have been many volunteers to help Mr. Åkerlund. The first updates were about tapes from 1988-2001, but now Per says what you’ll see in the movie is from 1986-1995. Does it mean it’s just a first part and later on there will be a vol. 2 with 1996-2001 videos? Then a 3rd part? Who’s in for a neverending movie? 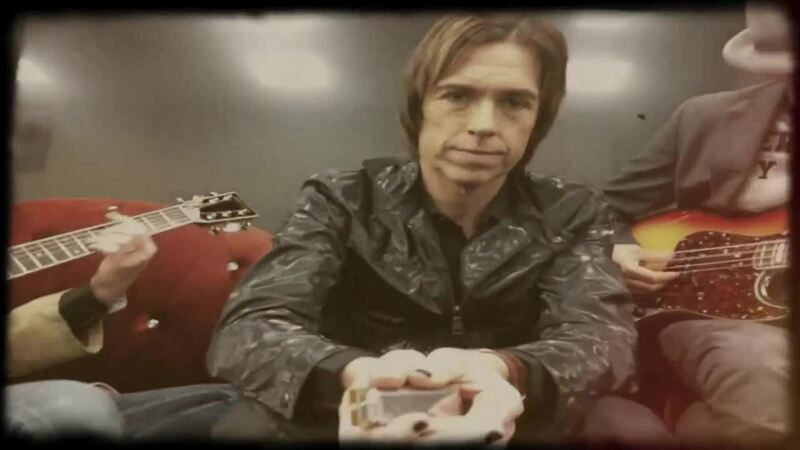 Thanx to Roxette Diaries for googling “Roxette Diaries” and finding the trailer! ROXETTE DIARIES. Yep, it’s done. Waiting for subtitles. Release date? Soon! Cheers, P.
Roxette’s official videos disappearing again? 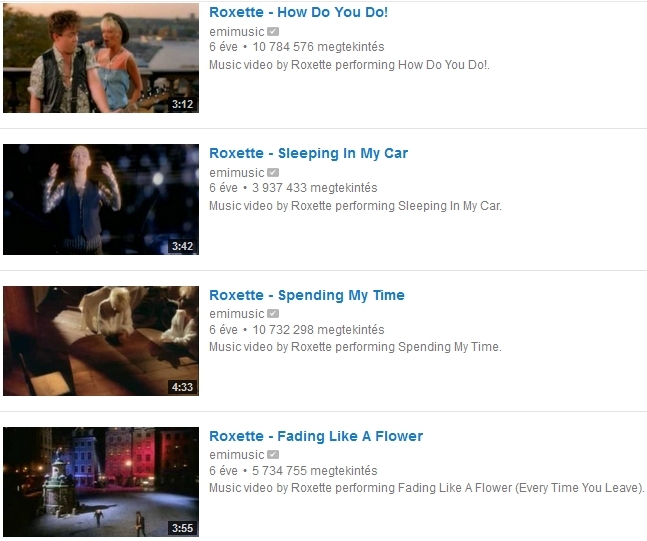 Almost a year ago there was an issue with Roxette’s official videos disappearing for a while from YouTube. Only 6 big hits were kept online that time. It was a consequence of the EMI – Warner Music merge and back then it seemed no one was really prepared for the fact that emimusic channel on YouTube might not work after EMI is not existing anymore. The issue got solved in about 2 months and the missing videos were set back on YouTube at the same channel. Now it happened again. Some official videos, e.g. Listen To Your Heart, It Must Have Been Love, Joyride, Dangerous are set to private on emimusic channel. The last time Per shared IMHBL (March 4th) and LTYH (5th March) on Roxette’s Facebook page, the videos were still available. Will they be back with their millionaire view counts? Other artists are facing the same issue, so it’s again not something uniquely related to Roxette, but still it’s quite annoying. In the meantime, Warner Music Sweden is uploading many videos from the past. As per what we, Roxers are mostly interested in among them are mainly Marie Fredriksson videos, as well as a few Per Gessle vids. It’s lovely to see all those gems, but also funny to see Marie’s Tro got a new, interesting title from Warner, Sweetwater. Whatever it is and wherever it is coming from. 😉 They will surely correct it soon. 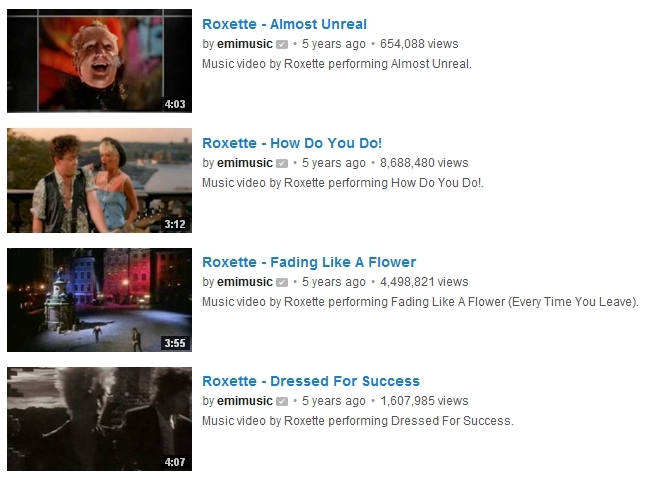 Roxette’s VEVO channel is still existing and many videos are still available at emimusic channel, but it would be great to get back all the other videos, too. Fingers crossed for it being solved this time for a longer period (forever maybe?) than just for another year. 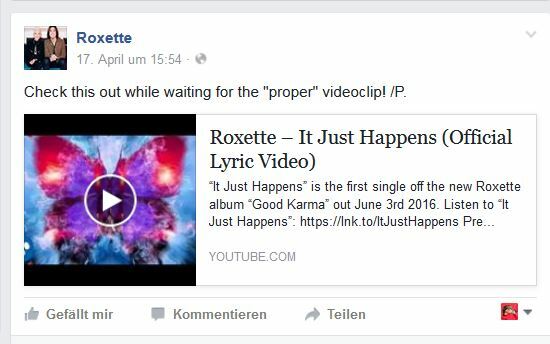 Update on 21st March: When Roxette’s official YouTube channel was announced yesterday, the official videos were set back to public. Yay! Two days ago Per posted a video of Marie, Christoffer and Dea singing an acoustic version of “Stars” during the warm-up in Turku. The video went totally viral afterwards and has been shared 420 times on Facebook. It popped up several times on every Roxer’s timeline and made people go crazy and remember a wish that most of them have for a long time now: an unplugged tour. The wishes and high hopes for an acoustic set and arrangement already came up when Roxette announced another world tour earlier this year, starting with the shows in Russia, Finland, Estonia and Lithuania. As we all know, it came differently, instead it’s (another) Greatest Hits tour in all the huge arenas around the globe. If you have appr. 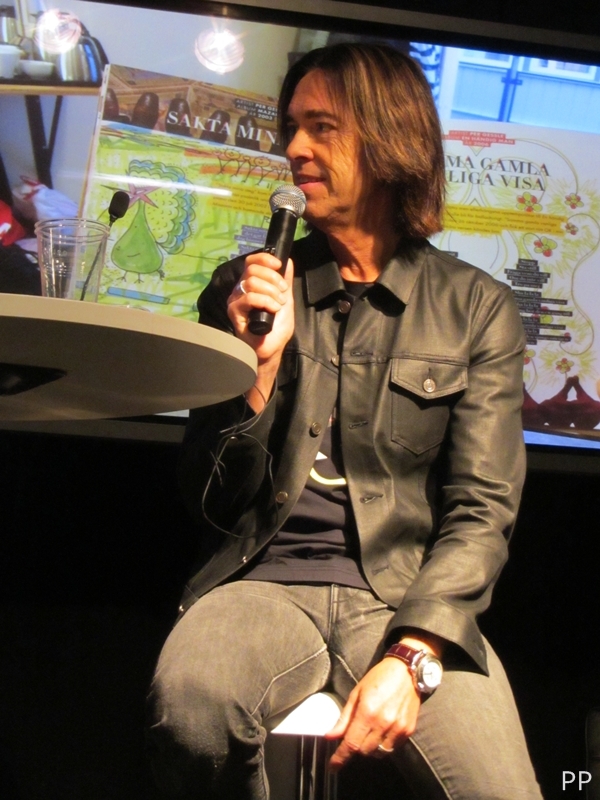 40-50 minutes between listening to The Per Gessle Archives and reading the books, you might want to check some videos from the book fair seminars. Unfortunately, there was no proper video recording of the complete seminars, so I thought I would put together the parts I recorded. Sorry for my sometimes shaking hands – mainly at the beginning of the Friday session, but I’m not a pro when it comes to taking videos. I left the rough cuts between the parts in, not to miss any milliseconds owing to transitions. 2-3 minutes of both videos I’ve already shared in the book fair review articles (chapter 1 and chapter 2), but now you’ll be able to watch 17m 32s (appr. 1/3) of the Friday seminar (pop quiz with Per Gessle, Sven Lindström and Nisse Hellberg) and 19m 57s (appr. 2/3) of the Sunday session where Jan Gradvall interviewed Per about songwriting. I hope your eyes won’t get hurt, but in the latter video the projected background is vibrating every now and then. Or was it Per’s aura? Either way, both seminars were very exciting and entertaining. Make sure you check the part where Per talks about the upcoming Roxette tour and thanks the fans for always being around, even in the seminar audience (Sunday seminar at about 18:35). We are grateful to have all these guys following us everywhere. It’s awesome! I felt so sorry that my camera missed the Flickorna på TV2 part of the conversation on Sunday, because it was so very funny, but fortunately, Chrissie Röhrs recorded that part, so you can watch how the double meaning of words kicked in this time (starts at 9:20). Turn someone on or switch the TV on à la PG! We are just as surprised as you are!!! However…we’re working on it!!!! It seems the negotiations came to an end, since the videos are set back to public. Woo-hoo! During these 2 months both IMHBL and LTYH got more than 3 million views each. Amazing, isn’t it? Per’s He Ain’t Heavy, He’s My Brother video is out! 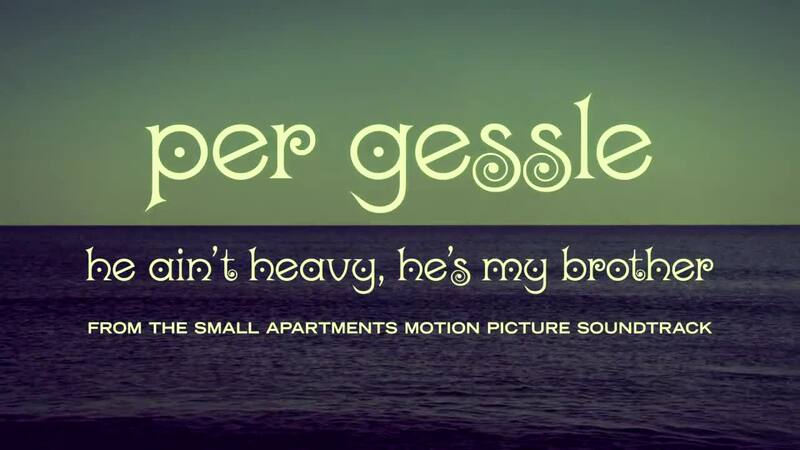 Per Gessle mentioned it several times that a video has been done for his cover version of The Hollies’ He Ain’t Heavy, He’s My Brother, which was released on Per’s Small Apartments soundtrack album. We had to wait approximately the same amount of time for this video as for Jonas Åkerlund’s movie. But finally, it’s out! The video is not connected to the movie in any way, so fortunately, you won’t see Matt Lucas in his undies, but 2 very cute boys. The storyline is lovely and really beautifully done. You’ll see that Jens Jansson, the director of the video, is not only a very talented drummer, but also good at doing such videos. However, I must add one thing. I was very much looking forward to Per appearing in the video, but for the first watch I felt like the way he is in it, its style somehow doesn’t fit the whole story. Then watched it again & again and if we look at him as a narrator, he does fit in. So all in all, it’s a nice one. The parts with Per are shot at the same place where the pic for the album booklet and CD cover was taken of Per, Clarence and Chris. It’s from 2012. The song is still a killer one! Per’s best cover of all times, I would say. We’re so lucky that the usage rights for the original song were too expensive. Finally, the video is out. Thanx for waiting a year or so… /P. 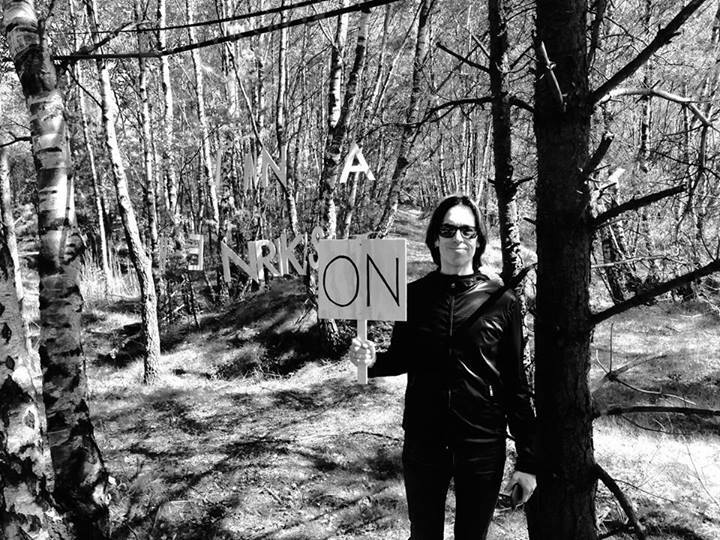 If you attended any of the concerts during the Gyllene Tider tour in 2013, you surely remember Linnea Henriksson. She was the support act at all concerts and she did a fantastic job. I think many GT fans became fans of Linnea as well during last summer. She released her latest album ”Du söker bråk, jag kräver dans” in February and for the song ”Halmstad” she did a video. The video was shot on 15th May in Aleskogen and at Västra stranden in Halmstad. THURSDAY UPDATE: Just did my part in Linnea Henriksson’s new video clip “Halmstad”. Fab song + outstanding video! Check it out! /P. 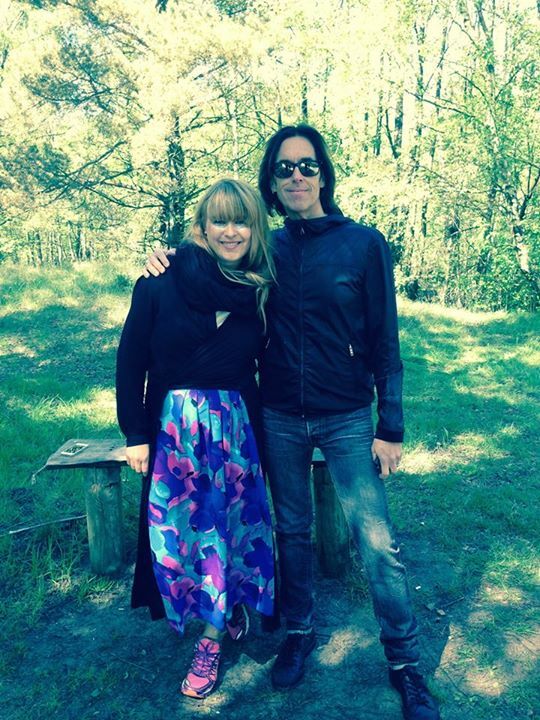 THURSDAY UPDATE #2: Out in the Halmstad woods w/ Linnea! Nice. /P. It is indeed an outstanding video and it’s so colorful and cheerful as Linnea herself is. Congrats! Due to various comments and statements from Per and Per’s management we have decided to remove the embedded video for the song. 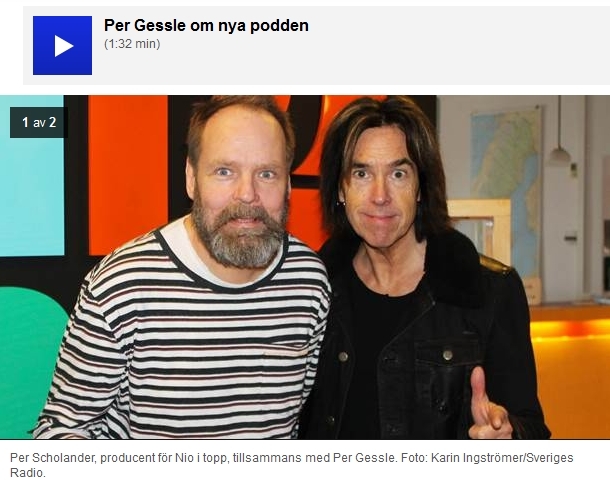 Per Gessle appears as a guest solist on DJ Heikki’s single “You Don’t Want Love”. Per added his touch to the song, laid his vocals in a studio in Sweden and that is the full extent on his involvement in this project. DJ Heikki is the artist, it’s his single and it’s him and his record label who are responsible in making the video. The finished video was presented to Per just the other day and he does not appreciate it at all. Therefore he has chosen not to post it on any of his Facebook- or Twitter pages. 2. make a new better one that we all could be proud of! /P. The official video for You Don’t Want Love is out. Unfortunately, there is no Per in it. The only Rox world related reference is a Roxette cassette put in the player at 3:02. From this photo it seems that the video was recorded in April.